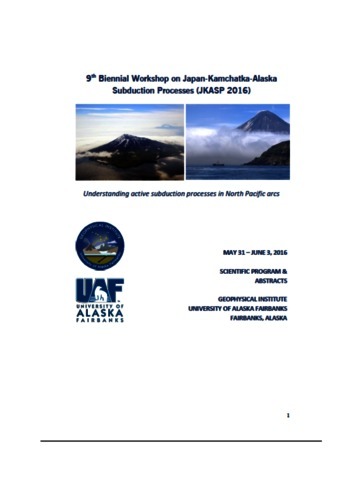 Bergal-Kuvikas Olga, Leonov V., Rogozin A., Bindeman Ilya, Klyupitsky E. New discovered Late Miocene Verkhneavachinsksya caldera on Eastern Kamchatka // 9th Biennial Workshop on Japan-Kamchatka-Alaska Subduction Processes (JKASP-2016). 2016, Fairbanks, Alaska University. 2016. 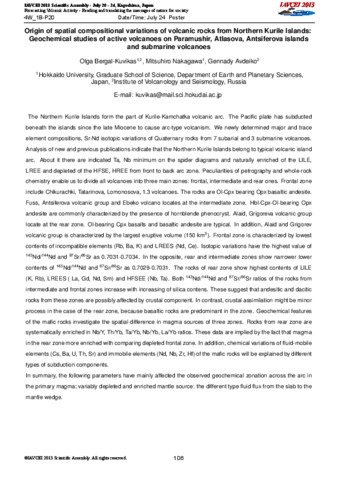 Bergal-Kuvikas Olga, Nakagawa Mitsuhiro, Avdeiko Gennady Origin of spatial compositional variations of volcanic rocks from Northern Kurile Islands: Geochemical studies of active volcanoes on Paramushir, Atlasova, Antsiferova islands and submarine volcanoes // International Association of Volcanology and Chemistry of the Earth's Interior (IAVCEI). 2013, Kagoshima. Japan.. 2013. 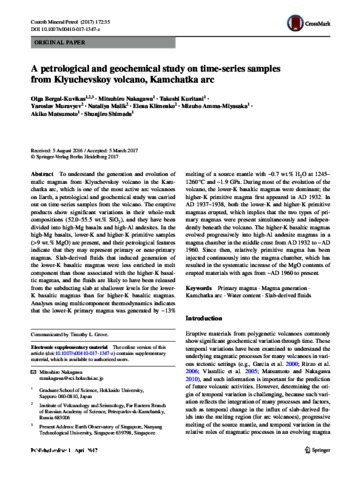 Bergal-Kuvikas Olga, Nakagawa Mitsuhiro, Kuritani Takeshi, Muravyev Yaroslav, Malik Nataliya, Klimenko Elena, Amma-Miyasaka Mizuho, Matsumoto Akiko, Shimada Shunjiro A petrological and geochemical study on time-series samples from Klyuchevskoy volcano, Kamchatka arc // Contributions to Mineralogy and Petrology. 2017. V. 172. № 5. doi:10.1007/s00410-017-1347-z. 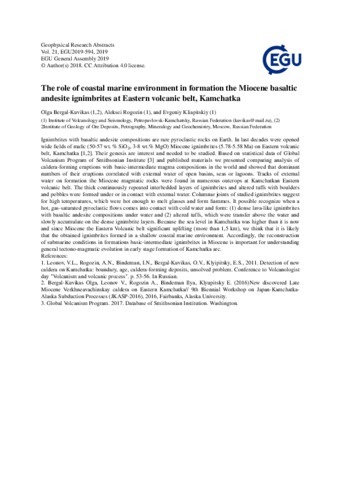 Bergal-Kuvikas Olga, Rogozin Aleksei, Kliapitskiy Evgeniy The role of coastal marine environment in formation the Miocene basaltic andesite ignimbrites at Eastern volcanic belt, Kamchatka // Geophysical Research Abstracts, EGU2019-594. 2019. V. 21. Bogatikov O.A., Melekestsev I.V., Gurbanov A.G., Katov D.M., Puriga A.I. 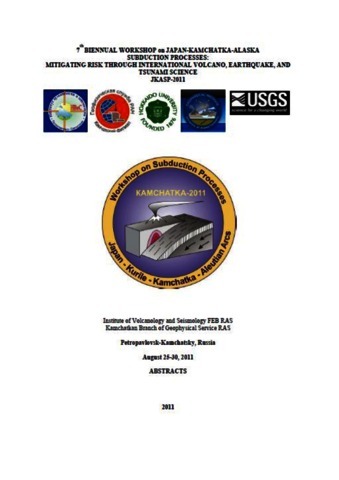 The Catastrophic Paleolahars of the Elbrus Volcano, Northern Caucasus // Doklady Earth Sciences. 1998. V. 362. № 7. P. 951-954. Bogatikov O.A., Melekestsev I.V., Gurbanov A.G., Katov D.M., Puriga A.I. The Elbrus caldera in the northern Caucasus // Doklady Earth Sciences. 1998. V. 363 A. № 9. P. 1202-1204. Bogatikov O.A., Melekestsev I.V., Gurbanov A.G., Sulerzhitskii L.D., Katov D.M., Puriga A.I. Radiocarbon dating of holocene eruptions of the Elbrus Volcano in the northern Caucasus, Russia // Doklady Earth Sciences. 1998. V. 363. № 8. P. 1093-1095.